When your customers pay for goods bought at the time of ownership transfer, you create a sales receipt in quickbooks to record the transaction. 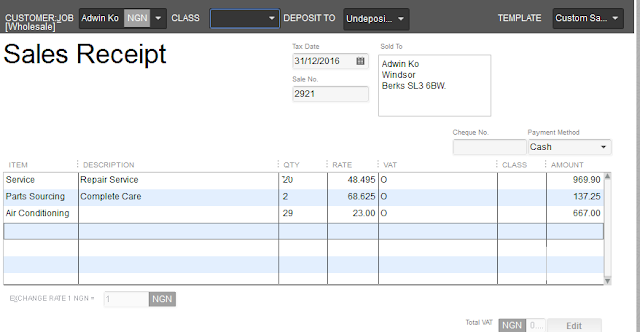 This is different from invoice –used when customers pay at a future date. 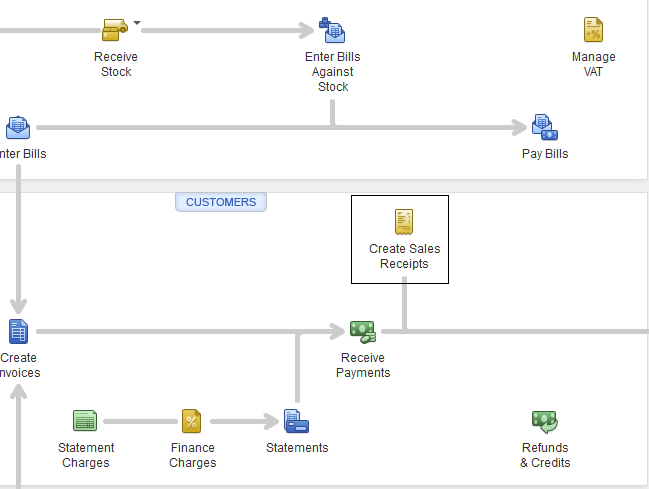 To create a sales receipt in Quickbooks, go to the Quickbooks homepage as shown and click Create Sales Receipts. Items: Select the item sold to the customer. Rate: Automatically appears based on your price settings when you set-up Quickbooks. VAT: Select VAT on sales code. Amount: Appears automatically based on quantity and price. Payment Method: Select cash, cheque or any other payment method used by your customer to pay. Customer Job: Select the customer involved in the transaction. Tax date: Enter the transaction date. Other details will appear automatically based on predefined parameters. 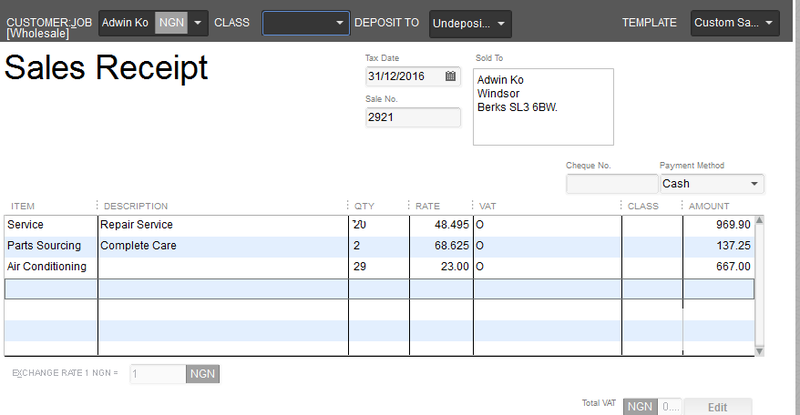 Click Save and close to enter the transaction in Quickbooks.